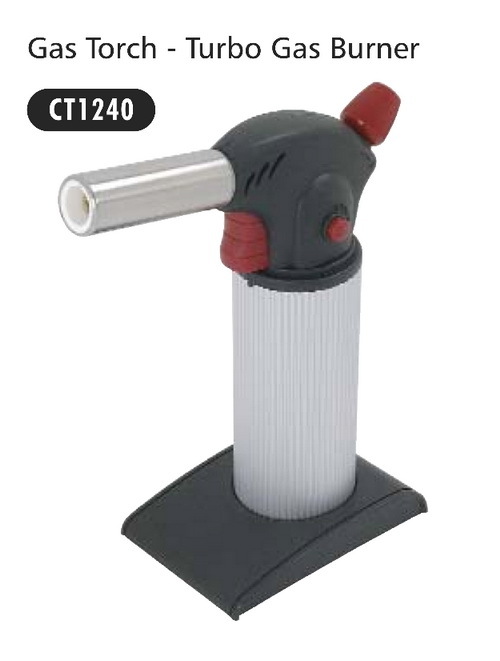 The big brother of our mini gas torch, this tourch features a single trigger operation. Squeezing the trigger both turns on the gas and ignites the torch. The control knob will adjust the maximum flame size and the side button can be used to lock the flame on. If the trigger is not locked on the torch switches off as soon as the trigger is released. Fill with standard lighter gas cans.